A former BJP parliamentarian on Friday announced his resignation from the party. Uday Singh, an ex-BJP lawmaker who has represented Bihar’s Purnia Lok Sabha constituency twice, alleged the party has surrendered before the discredited Janata Dal (United) headed by Chief Minister Nitish Kumar. 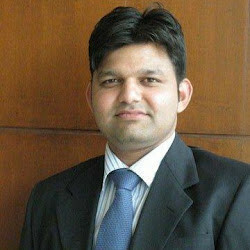 Mr. Uday Singh on Friday announced his resignation from the party here. Having twice MP from Purnia Lok Sabha seat, Singh alleged that BJP has surrendered before JDU. Being twice MP from Purnea Lok Sabha seat, Singh alleged that BJP has surrendered before JDU. Singh refused to give any information about the future plan, refusing to say that till he resigned from the BJP, he did not have the right to interact with any other party, however, he gave enough hints about that he could join the coalition. He said that he is watching the rising popularity of Congress President Rahul Gandhi, while Prime Minister Narendra Modi has removed himself from reality even if his thoughts are so good. He said that while living in BJP, he never supported the slogan of ‘Congress free India’. There is no existence of a democracy without opposition. This will be limited to a one-party rule. With the consent of the BJP and JDU to fight for 17-17 seats and leaving six seats for Ram Vilas Paswan for the LJP and due to the Nitish Kumar’s party of the present MLA in Purnea, Singh is less likely to get this seat. Singh won Purnia seat in 2004 and 2009. He claimed that there is disappointment between the party cadre on the current leadership and it has become very difficult to meet the BJP President Amit Shah in the present time. RLSP chief Upendra Kushwaha continued to ask for time to meet, which he had never get and ultimately resigned.